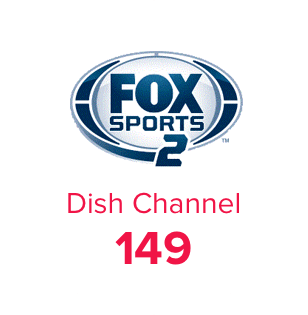 Enjoy FS2 on DISH channel 149! From 2003–2013, the channel we now know as FOX Sports 2 was called Fuel TV. After the rebranding in 2013, FOX Sports 2 aired as a channel full of extreme sports coverage and a limited coverage of the Australian Football League. As the sister channel for FOX Sports 1, FOX Sports 2 carries a lot of the same broadcasting, and offers 24/7 content. In the United States, over 50 million viewers1 enjoy catching their favorite sports on FS2. You can tune into all that FS2 offers by ordering America’s Top 120+ package or higher. This channel also has HD options! If you’ve dreamed of watching multiple games at once, then you need the Hopper® 3 DVR. 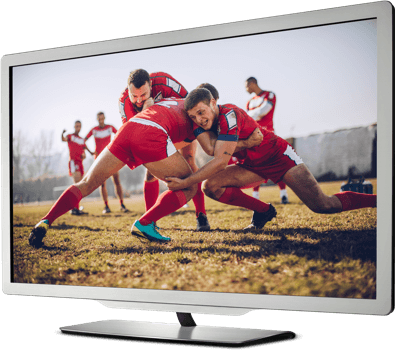 On top of being able to store up to 2,000 hours of content, while being able to record 16 shows at once, the Hopper 3 gives you the option to watch two, four, or six shows simultaneously. 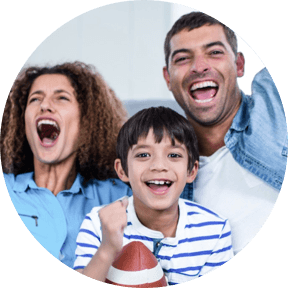 Use Side-by-Side, MultiView, or Multi-Channel View to catch your favorite teams’ games, even if they’re airing at the same time. Say goodbye to the days of flipping back and forth between games and missing the best plays. 1. Wikipedia, "Fox Sports 2." Retrieved 4 April 2018.